When you get to the end of your shaved ice and snow cone syrup, do you panic? There�s nothing worse than running out of your favorite flavors! 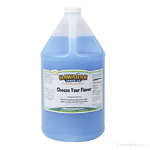 With a little help from Hawaiian Shaved Ice, that�s just a thing of the past. Whether you are stocking up for a special occasion, for your shaved ice stand, or just for the season, our four gallons shaved ice syrup package would be perfect for you. For each gallon of syrup, you can choose from over 100 flavors. Each jug holds 128 ounces of mouthwatering shaved ice and snow cone syrup. The toughest decision you�ll have to make is figuring out your four favorite flavors! Get your shaved ice machine warmed up! 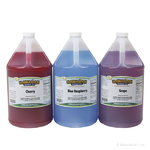 With this four gallon shaved ice syrup package, you will surely be fully equipped to make delicious shaved ice by the bundle! 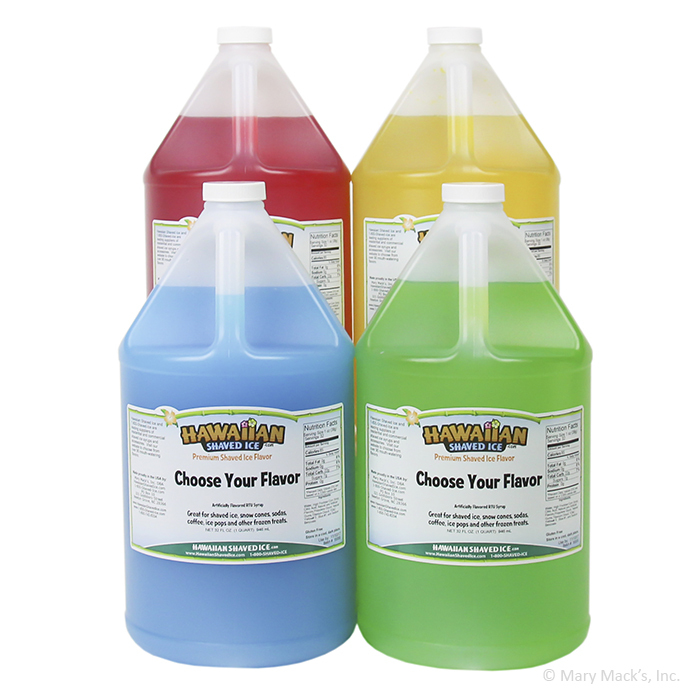 If you are really having a hard time picking flavors, please check out some of our other gallon packages.